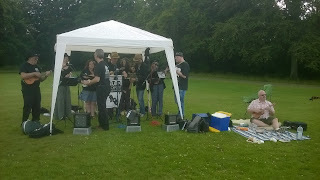 Our final event in a busy July, Saturday 25th was Carnival Day. 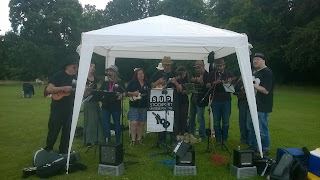 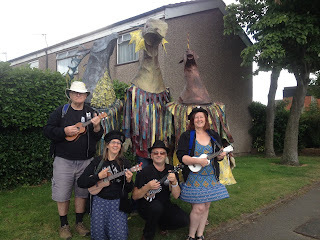 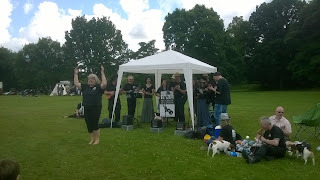 A few SUP members joined Seven Miles Out to walk in the Parade although Sandra and Chris were unable to play their ukuleles as they were dressed as a Unicorn and a Stag to accompany Martin the Dragon. They were joined by a few more players in Woodbank Park to play for the rest of the afternoon. For our final number, Sandra led the audience for YMCA. 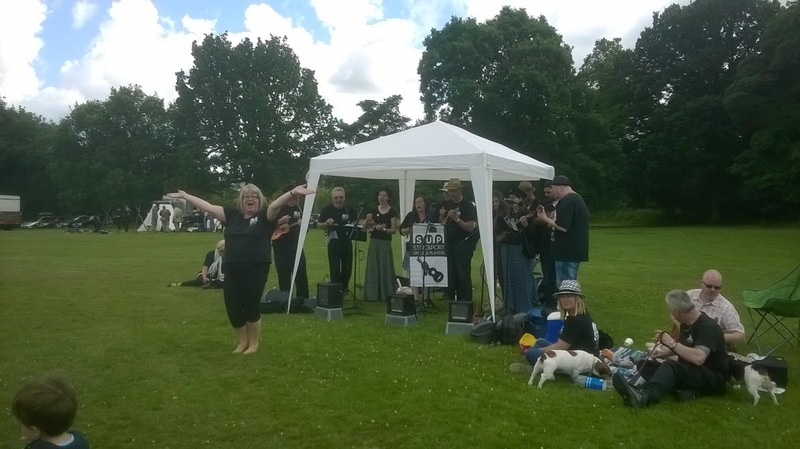 A fun day for all - and it did not rain!